While we can all agree that a mountain bike chain isn’t the sexiest purchase to make, it’s definitely an important one. No matter how you look at it, if you don’t have a chain you don’t have a functioning mountain bike, it’s a case of no chain, no ride. Because it’s not the most glamorous component, you probably don’t give it any thought until it breaks. And then you scurry around, bikeless, looking for a replacement, muttering and cursing under your breath. The truth is your chain should be revered, it should be worshipped and adored, and treated with due respect and a little lube every now and then. Believe it or not, there are a crapload of mountain bike chains to choose from and the type you buy depends on a few key factors. 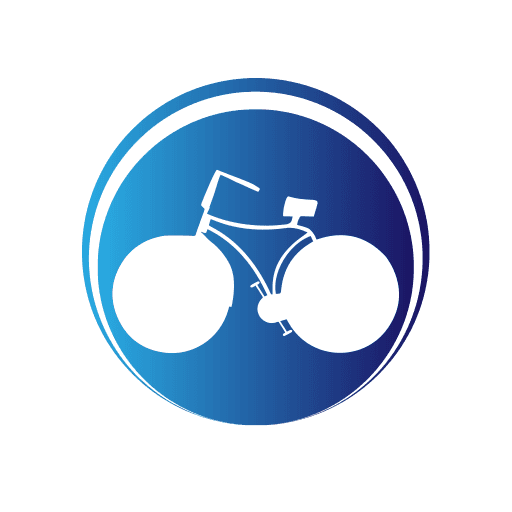 For one, chain widths vary according to the type of bike you ride, whether it’s a BMX or a mountain bike, a 9-speed bike is going to need a different chain compared to an 11-speed or even a one-speed. Today’s bike chains are called roller chains that are made up of short cylinder-shaped rollers, held together with side links. While the majority are made from alloy steel for strength, a few brands are made from high-end alloy parts or hollow pins or side plates in order to keep the chain as lightweight as possible. Regular chains are the most common and come standard on pretty much every mountain bike, In terms of strength and efficiency, they’re on a par with the other types. Hollow pin chains are the lightest you can get because of the hollow steel pins in every link and half-link chains are usually only found on single speed bikes. If you like understated, well-made chains that deliver on performance and quality, the Shimano Ultegra CN-6701 is the 10-speed chain for you. It has a newly designed inner and outer plate and features Dura-Ace technologies. The chain also has an innovative Hyper-Glide System that allows you to run in between the twister and twistee for fast-shifting and reliable performance. For one of the best 10-speed chains on the market, the Shimano Ultegra CN-6701 chain is excellent value for money is durable and delivers a very smooth ride. SRAM bike chains are with you for the long run. We know a few cyclists that have clocked over 4000 miles on their bikes and have only used three chains, one of them being the chain that came with the bike. If you’re not looking for a long-term relationship, with a chain that is reliable, and committed to, then we suggest you don’t get the SRAM PC 971. It comes with swelling outer plates and chrome-toughened pins. The understated grey coloured chain is smooth, it shifts real quick and the Powerlink makes it easy to take off and clean. 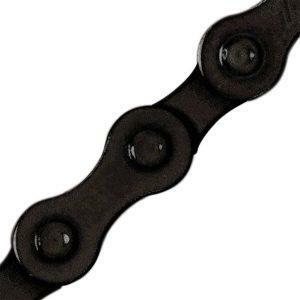 Described as fast, durable and quiet, we can’t think of anything else you would want from a bike chain. KMC chains are affordable, available in different sizes and they work well. Simply put, they’re the darlings of the bike chain world. A friend of mine worked in a bike store for a while and they sold over 4000, with maybe one or two returns. It was their chain of choice when replacing old chains for customers because of the price, and they come with quick links that make them easy to install and remove. Ridiculously priced, we suggest you have a few of these on hand for all your bikes. 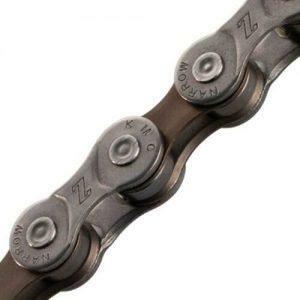 The KMC Z-72 comes with a missing link so you don’t have to buy a master chain link, which saves you even more money. It’s smooth and quiet, except when it’s screaming value for money. What more do you need? There are some people who express themselves with their helmet or the riding gear they wear, and then there are those who are looking for something a little different. The KMC Z410 bike chain is available in white, gold, yellow, orange, lime, blue, purple, pink and black, making it one of the few that lets you express yourself with your bike chain. Finish Line’s Ceramic Wax is the most used cycling lube in the world, preferred by amateurs and pros. It goes on wet but what we like is that it dries, which means it doesn’t attract or absorb any dirt. Finish Line is the obvious choice for serious bikers who prefer spending time in the saddle, rather than wasting it maintaining their chain. Every time you apply the wax the ceramic coating is strengthened, providing added protection compared to oil-based lubricants. Because a chain comes standard on a bike you might not think to ask the relevant questions, like how to maintain it, when to replace it, and what to look for when buying a new one or upgrading to something different, which is where we come in, with our quick buying guide. Bike chains are available in four sizes and the one you need is determined by the number of gears on your bike: single speed, 6/7/8 speed, 9 speed and 10 speed. Chains cost as little as $5 all the way up to $200. In the lower price range, say $5 to $50, you will be able to buy single speed, 6, 7,8 and 9-speed sizes, and they’ll include features like connector pins, half-link designs, and quick links. They’re good value for money and will last a long time. 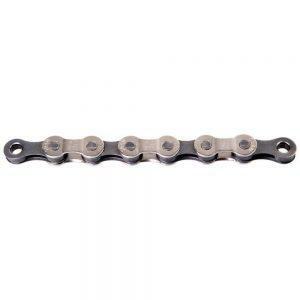 The $50 to $120 chains are usually available for 10-speed drivetrains with hollow pin technology and hollow links. 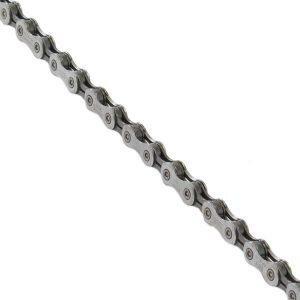 It goes without saying these chains deliver superior performance because of the more precise techniques used to make them as well as the materials and the weight. Last, but definitely not least, is the $120 to $200 titanium range of chains. Oddly enough, speaking to a few riders in the know, they’ve said they don’t see the point in spending this amount of money on a chain simply because it’s titanium. While there’s a definite bling factor to it, a $200 bike chain isn’t going to offer any ROI that justifies the cost. However, if you’re in a position where you can blow $150 to $200 on a bicycle chain, then kudos to you. There you have it. The mountain bike chains we use ourselves and recommend time and time again, along with the best lube we’ve come across in a while.